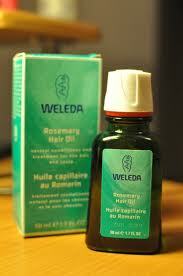 Weleda Rosemary Hair Oil is a natural conditioner and treatment for the hair and scalp. Weleda Rosemary Hair Oil is a deep-conditioning treatment that restores moisture, softens split ends and adds radiant shine as it penetrates. Organic rosemary oil completely coats your hair and scalp with an indulgent treatment of fragrant, evergreen nourishment. Burdock root extract has traditionally been used to alleviate dry scalp. Your hair, rich in the revitalizing fragrance of rosemary, looks and feels softer, smoother and more manageable from root to tip. Apply a few drops as a hair groom after cleansing with a Weleda Shampoo. Also, use it as a re-conditioning treatment for dry or damaged hair.